suitable Suitable for gear oil, engine oil, waste oil, brake fluid, antifreeze and waste water. 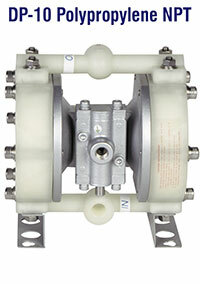 1-1/2″, Flow rates of 378LPM diaphragm pump. Plastic or Aluminium construction. 2″, Flow rates of 568LPM diaphragm pump. Plastic or Aluminium construction. Air Powered Double Diaphragm (AODD). Pumps are available in aluminum, stainless steel (316) and polypropylene construction, with a wide variety of diaphragm materials. 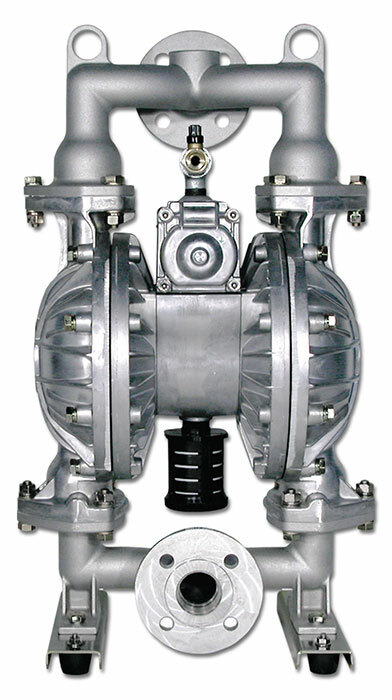 Pumps are available in aluminum, stainless steel (316) and polypropylene construction. Aluminium body and hytrel seals. 1 -1/2″, Flow rates of 350LPM.